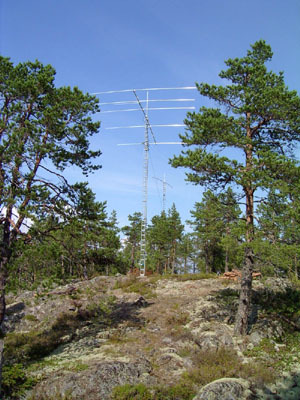 This antenna is constructed by ZX-yagi. 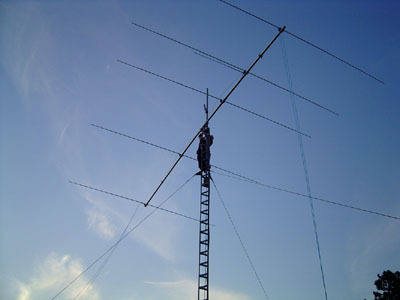 The 5el monobander has got a boomlength of 10m (30.5 feet) and is a great performer. 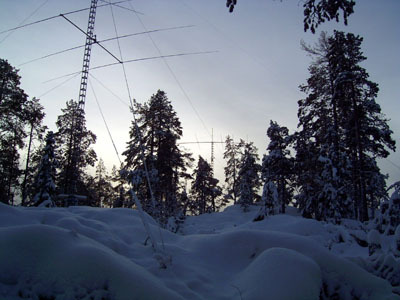 I got very impressed about the ZX-yagi engineering, even though I had to modify the gamma match a bit to get the construction to fit and that is the only negative thing I have to say about it. 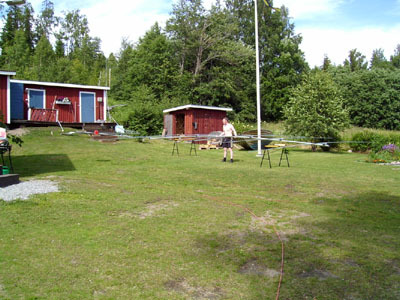 Elements are really thick and its a 60mm boom, no Swedish winter will break this antenna, that is for sure. 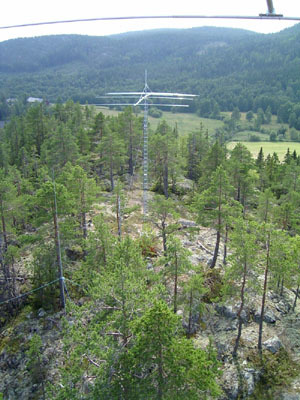 It is mounted about 12m above the ground and is turned with an old slow Ematator 1103MXX.